For several years we have been visiting Three Oaks, Michigan in June for their annual Flag Day Parade. 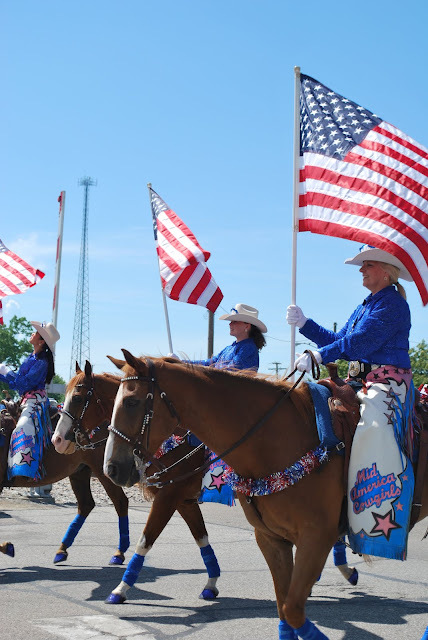 The weekend is full of festivities culminating with a long parade on Flag Day that is really just small town Americana at its best. The parade is about two hours of patriotic veterans groups, marching bands and floats with royalty from little towns in Southwest Michigan. As I tuned in to the Inaugural events on Friday, I noticed the Mid-America cowgirls were participating. They are always part of the Three Oaks Flag Day parade, so it reminded me that I now have a 2017 calendar going and its time to add this favorite annual event. 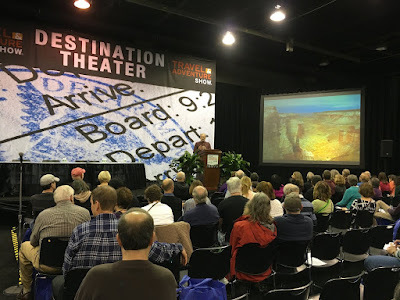 If you're in the Chicago area or not too far from it, you may want to consider paying a visit to the Donald E. Stephens Convention Center where the Travel and Adventure Show continues tomorrow from 11 a.m. to 4 p.m. Learn about hundreds of vacation destinations across the country, across the globe or in your own back yard - from Belize to Taiwan to Italy to South Dakota, Florida, Arizona and places as close as Michigan's coastline, Springfield and Milwaukee. Kids age 16 and under are free, so it's an economical way to have some family fun as you dream together about your next travel adventure. Some of the hand-on fun includes scuba diving, riding a camel and trying out a segway.